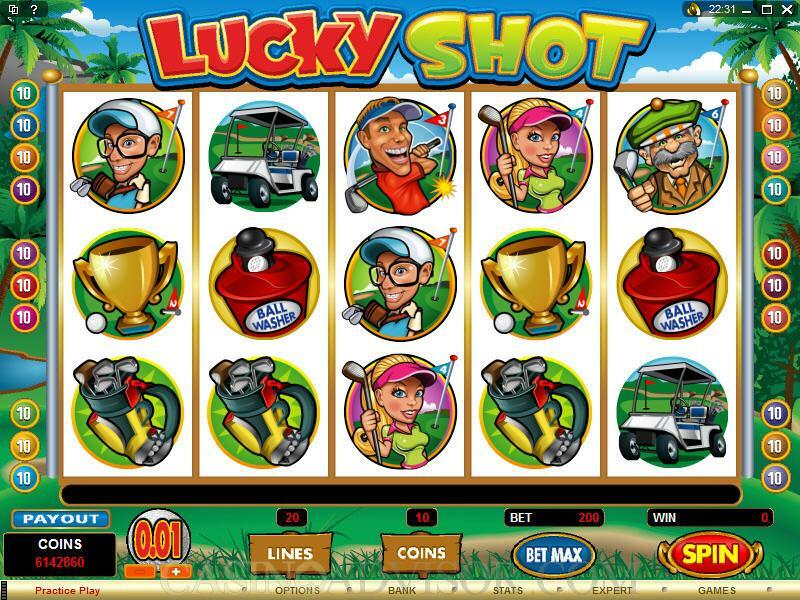 Lucky Shot is an exciting new slot game offering from Microgaming, the world's leading company when it comes to designing and manufacturing online casino software. 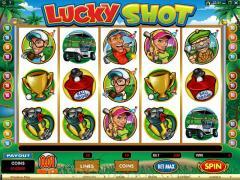 This is a five-reel game, with twenty paylines, and allows for a maximum bet of 200 coins. The theme involves the game of golf, which, like the game of slots and the game of life, is something one may never fully conquer. Indeed, there is a lively soundtrack, and as the player you have the ability to exercise controls over which sounds are played during the game, whether they be game sounds, background sounds, win sounds. Not too many people like to play "speed golf," but if you wish to pick up the pace a little, the Quick Spin option is available, which speeds up the spinning of the reels. And if you really want to tune out the world, AutoPlay can automate your play for any specific number of turns you want. As mentioned, there is no wild, but there are two scatter symbols - the Gopher symbol and the Golf Cart symbol. When a "scatter" symbol appears it does not have to be on an enabled payline to contribute to a win. However, they do have to appear on consecutive reels to trigger the bonus games. 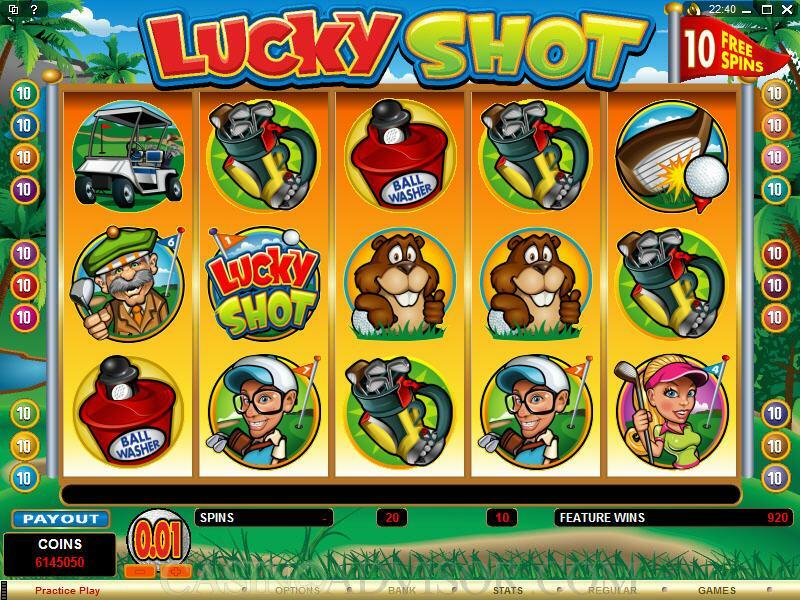 Three or more Gophers on consecutive reels will activate the Gopher Bonus Game, and three or more Golf Cart symbols - once again, on consecutive reels - will trigger the Free Spins Bonus Game. The bonus games operate differently. In the Gopher Bonus Game, you get to pick the same number of symbols representing bonus amounts as the Gophers that appear. Naturally, you can get up to five free picks to go after bonus amounts. There is a maximum of 60,000 coins to be won in the Gopher Bonus Game. In the Free Spins Bonus Game, you can win either nine or eighteen free spins, and win amounts are doubled. You cannot win additional free spins during the Free Spins Bonus Game. The scatters do indeed constitute winning combinations in and of themselves. For example, if five Gopher symbols appear on consecutive reels, you will win an amount that is equal to 50 times the number of coins you have bet. The maximum wager you can make on this game is 200 coins, which is affected by clicking the "Bet Max" button. The coin sizes vary from 0.01 all the way up to 0.50. The number of coins bet and the number of paylines enabled can be easily adjusted and controlled with buttons at the very bottom of the interface. 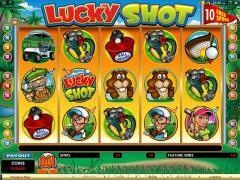 Interested in reading more detailed information about Lucky Shot? If so Click Here for more details.